Spring is just around the corner and we're anxious for a pretty pastel palette. So we thought, why not wear soft pinks and blues now? 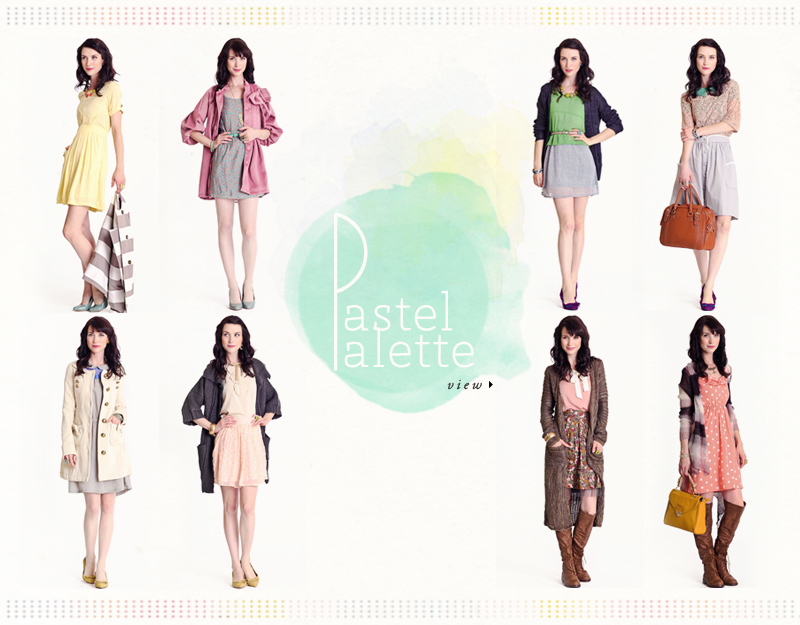 Even though it's still winter, simply remember this: you can incorporate pastels into your wardrobe now! 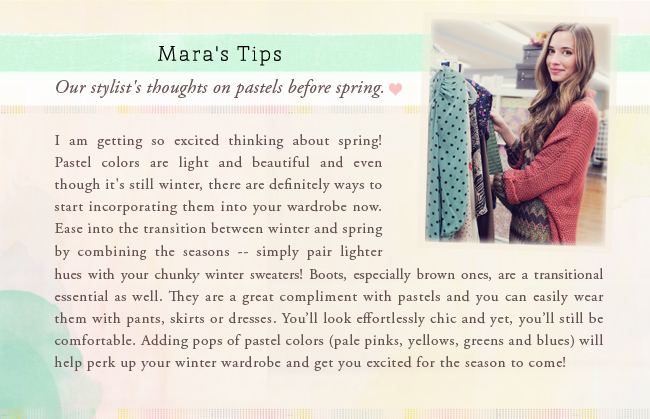 Read our stylist's thoughts about pastels before spring below. How about something about pastels on pale skin? I always feel like they drown me out! I love pastels. Great styling tips.